Shiny rhinestones, a beautiful oval 'faux' pearl, graceful feathers and a gorgeous veil with black polkadots... glamour at its best! 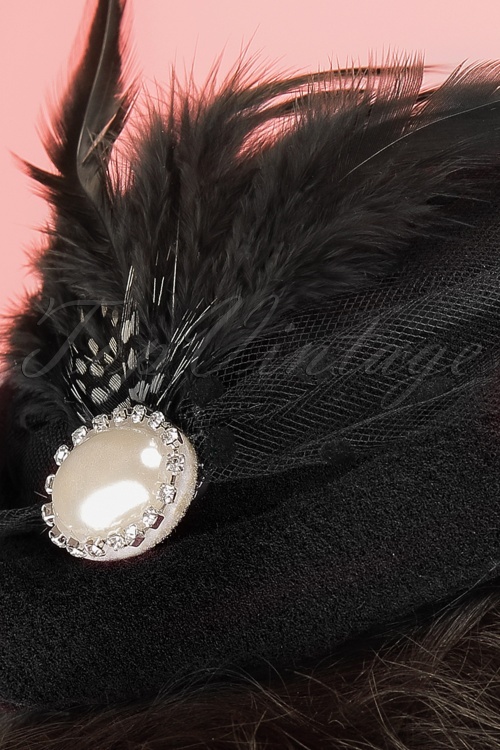 This black fascinator is finished off with a black hair clip that will keep the hat from sliding off. This breathtaking fascinator will complete every classy outfit! As always it fits absolutly perfect!! Great conversation and the wonderful service will leave me as a faithful customer! !